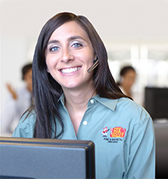 National Customer Service Week is coming. Here at Fox Valley Fire & Safety, that’s a big deal, because it coincides with our Annual Company Meeting and Employee Appreciation Breakfast. And that’s not just a coincidence. It’s the one time a year all 200+ employees come together in one place. Providing customer service is what we are all about, we value it so much that we take the time to take all of our service and installation teams (115 employees) out of the field on this one morning to focus on providing great customer service. Customer Service Week is celebrated every year during the first full week in October in the United States (and even Great Britain). This year, it’s the 7th through the 11th. It was originated in 1988 for “recognizing the importance of customer service” and “honoring the people who serve and support customers with the highest degree of care and professionalism.” In 1992, the U.S. Congress proclaimed it a nationally recognized event, and Pres. George H. W. Bush signed the proclamation into law. To that end, we have an exciting program planned for our annual meeting. President Ken Volkening will preside over the proceedings, assessing the state-of-the-company over the last year and outlining our goals for the year ahead. Chief Financial Officer Al Whale will review the status of our benefit plans and other employee options. Vice President Jim Moran will present the 2013 Dale E. Tatge Memorial Scholarship. Our Marketing Committee will present a report on our efforts to promote the Fox Valley brand in both traditional and new media (including a lot of developments going on in social media). Vice President Bruce Volkening will speak on the importance of customer service as a business model. And there will be many more activities, including customer service training, worksite safety training, contests, games and receptions. We hope to share, learn, celebrate and improve our high level of customer service, in keeping with our commitment to our employees.